I typically write the majority of my posts on my Blackberry while riding the train. It’s a good use of a long commute. A few days ago I started writing an overdue post that immediately assumed a ho-hum tone, as I focused on feeling deflated and just generally over the whole thing. I wrote for my entire ride – or at least until the train reached the stop before mine. Frozen Blackberry. It just refused to go on participating in my exercise of defeat and self-pity. I threw it in my bag to test later. And sure enough, there was no trace of what I had written when I was in my apartment ten minutes later. The phone didn’t need to be rebooted and everything else was fully functional. Only that post was affected. So I took it as a sign. No more ho-hum attitude, at least not in writing. From slavery to the state senate. Following the civil war, the family settled in Florida. 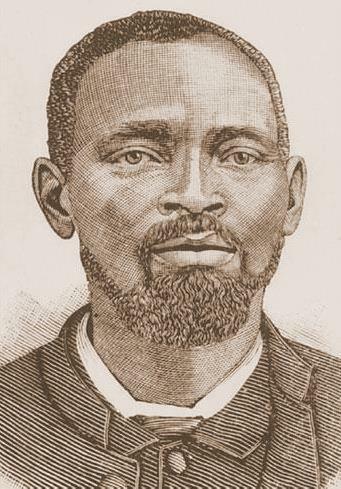 Thomas went on to found the first African Methodist Episcopal church (St. Paul’s AME) in Ocala Fl in 1870. In 1968-69 he was the superintendent of schools in Madison County, Fl. And then he was elected to the state senate, serving for several years between 1873 and 1879. He also served on the Board of Trustees of Edward Waters College. He was self-taught, and clearly a natural leader. How do I know all of this? He’s in history books! Well, at least books about the history of black Christians in Florida. But, believe it or not, I found most of it through creative google searching. I just started reading Laborers in the Vineyard of the Lord, which discusses the story of a significant portion of his life. As I mentioned in the earlier post about the long-term relationship between the white man and black woman on my mother’s side, I already knew there was some not so distant white blood in the family (but don’t worry, I’m still identifying as black – though I did briefly consider changing the name of the blog to “Mulatto Girl Gone”). Although many white folks at that time don’t come with too much to rave about, they’re exciting to research because, the further back you go in time, their information is much more accessible. Prior to the 1870 census, enslaved black folks (and I have yet to discover a branch of my family that didn’t survive slavery in the south) didn’t exist outside of property records and other heinous, inappropriate areas of the archives rooms. Most white folks, on the other hand, with relative ease, can trace way back to the 15th century, and even earlier if you care to go back that far. So in the interest of fairness to all of my ancestors, and a greed for more information, I did some investigation into the white side. And turns out what I learned can get me an entry pass to a Daughters of the American Revolution meeting. My 6th great grandfather, Alexander Harper (1744-1798), fought in the American Revolution. The stories describe him as being kidnapped by “the Indians,” assumed dead, and taken to Canada. He was there for some time, while his wife, Betsy Bartholomew (1749-1833), held things down on the home front. When he returned home he was a local hero. He and Betsy later joined a few other families to become the first white settlers of Harpersfield, OH. 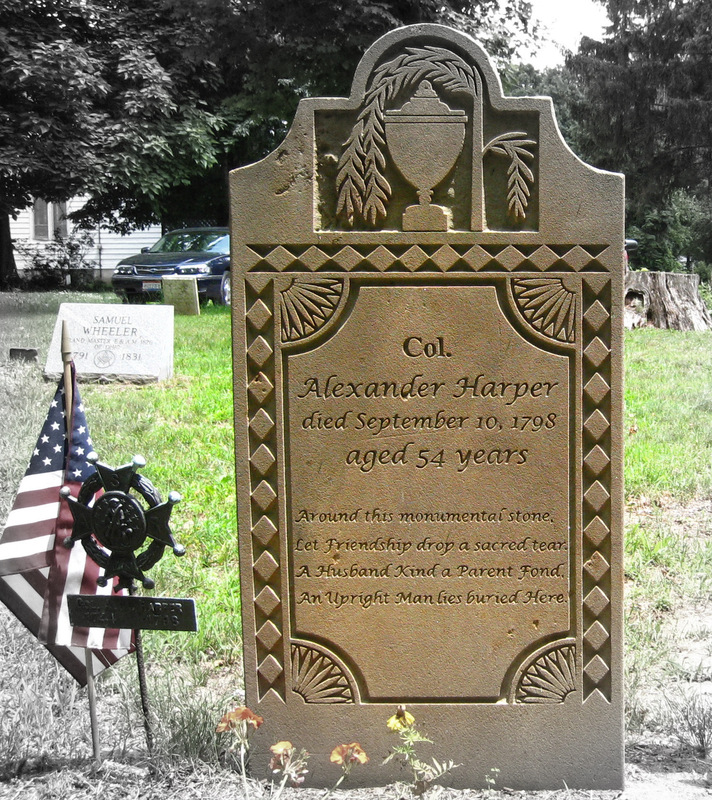 Not only is the town named after Alexander, but he’s buried in the Col. Alexander Harper cemetery. Betsy’s story is also covered in some of the colonial history books. Apparently she was relatively cool, mostly because she was described as doing anything for the safety of her family. And even more importantly, she was was cool with “the Indians.” I take that for what it’s worth. It all ties back to the Netherlands. This is an AMAZING story!! It’s truly phenomenal that you’ve found this story and in so many ways, another part of yourself through your past. I am also so thrilled that your B-Berry punked you and set you on a better path! You are blessed that the universe is able to guide you the way it does. Keep your head up, sis! This is awesome. Go BlackBerry for not delivering. I loved reading the story! Even though I knew all the details it was nice seeing it put together. I am so PROUD of T.W. He was truly a visionary. This was such a timely and wonderful read. I am actually a doctoral student at Morgan State University and am researching letters from African American Civil War soldiers. I have used a portion of Thomas Long’s quote as printed in Thomas Wentworth Higginson’s Army Life in a Black Regiment as the title of my dissertation and would love to speak with you about his life and legacy. Of most interest to me would be any letters that your family may still possess by Mr. Long during his honorable service. Hi Sherri! What an honor for T.W.’s words to be included in your dissertation. What’s the title? Please contact me at blackgirlgone(at)gmail.com. I’d love to talk further. I actually just participated as a panelist for the Ford-Turpin Symposium on Morgan State’s campus yesterday and read a portion of my paper. And although the quite from Thomas Long was not in any letter I found, I was sure to let audience members know what inspired the title of my dissertation.